The U.S. Coast Guard is raising new safety concerns for crews that harvest tuna from some of the most remote waters in the Pacific following a spate of accidents in the past eight years that have left 19 crew members dead aboard commercial tuna vessels flying U.S. flags. The Food and Agriculture Organization of the United Nations (FAO) in collaboration with the Western Central Atlantic Fishery Commission (WECAFC), an FAO regional fisheries body, is hosting a regional workshop to build capacity for implementation of the 2009 FAO Agreement on Port States Measures among the Caribbean Small-Island Developing States (SIDS). The workshop is being held in Port-of-Spain this week and is being attended by more than 80 officials from 25 countries. The Texas Gulf Coast supplies seafood for the American public and supports the hospitality industry, tourism-related businesses and our vibrant recreational fishing trade. A new report by Oceana exposes nine U.S. fisheries that throw away half of what they catch, and kill dolphins, sea turtles, whales, and more in the process. The BP Deepwater Horizon oil spill struck at the very heart of fish, a new study says. Exposed to millions of gallons of crude, young tuna and amberjack, some of the speediest predators in the ocean, developed heart defects that are likely to limit their ability to catch food. On Sunday, coast guard officers detained a fishing boat in Quepos, Puntarenas, on the Pacific coast, and found 21 shark fins on board weighing four kilograms, which likely came from four sharks, according to a statement from the Public Security Ministry. A federal judge on Tuesday upheld California's ban on possession or sale of shark fins, rejecting claims that the law discriminates against the Chinese community - where shark fin soup is a traditional delicacy - or interferes with federal management of ocean fishing. Defense witnesses of Kathy Tseng, a business woman accused of shark finning by the Puntarenas’ Court, chose not to testify during a hearing this past March 21. Tseng is accused of landing shark fins attached to backbones, an act identified by experts of the Judicial Investigation Bureau (OIJ in spanish) and INTERPOL as finning. The annual Rai Balang maritime surveillance sweep focussed in the North Pacific had some record results as it wound down its ten-day operation for 2014 late Friday. The administrative seizure and torching of fishing tenders and gear, citations for six fishing vessels, and boardings by inspectors of 69 fishing vessels across the Micronesian region has sent a clear message to vessels in Pacific waters fishing in breach of their license agreements, or without a licence: you will be caught. South Korea is set to begin monitoring all its fishing boats operating in international or foreign waters to prevent illegal fishing or any other unwarranted activities, the government said Thursday. Vanuatu's Fisheries Minister David Tosul and his delegation is in Brussels, Belgium on the final leg of negotiations with the European Union (EU) to uplift the yellow card served on Vanuatu in November 2012 over Illegal, Unreported and Unregulated (IUU) fishing. Pakistan Fisherfolk Forum (PFF) on Sunday criticised the governments Marine Fisheries Department, which has invited deep sea trawler companies of the country to issue licenses of fishing. The Gadani beach — one of the few coastal areas of Pakistan with sparking blue water and a unique range of marine habitat — is in danger of losing its lustre. Toxic wastes from the ship-breaking industry, coupled with illegal nets and the government’s plan to set up a coal-based energy corridor in the area, threatens this breezy coastal edge of the Arabian Sea. Swimming in circles alongside a fishing boat, the excited cries of two short-haired otters ring out across a river in southern Bangladesh that feeds into the Sundarbans, the world’s largest mangrove forest. The fishermen lower a net into the water close to the banks of the river, and one by one, tails up, the animals dive under the water with a splash. It is a rare technique that relies on co-ordination between man and trained otters, a centuries-old fishing partnership that has already long died out in other parts of Asia. The Mergui archipelago has been called the “Lost World,” but outsiders have found it — first fishermen, poachers and loggers, and now developers and high-end tourists. 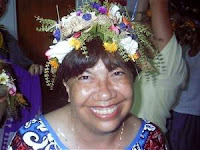 The people losing this world are the Moken, who have lived off the land and the sea for centuries. As the European Union’s executive arm confirmed trade sanctions against Belize, Guinea Conakry and Cambodia, the European commission said another five countries have until the spring 2014 to demonstrate their efforts against illegal, unreported and unregulated (IUU) fishing, or also face sanctions. Thai Union Frozen Products said MW Brands will seek to reflag its Belize-flagged vessels to another country as a result of the EU sanctions on vessels flagged to Belize, Guinea and Cambodia, the company told Undercurrent News. Britain’s rich maritime legacy is under threat from commercial treasure hunters who are accused by experts of plundering and destroying the nation’s underwater heritage. The animal protection organization ProWal and the Whale-and Dolphinprotection-Forum (WDSF) are looking for evidence in the dolphinarium in Constanta, town in the EU country Rumania, of their illegal import of dolphins from Taiji/Japan. Four leading environmental groups – Environmental Justice Foundation (EJF), Oceana, The Pew Charitable Trusts and WWF have welcomed a decision by the EU Fisheries Council to place trade restrictions on Belize, Cambodia, and Guinea for failing to cooperate in fighting Illegal, Unreported and Unregulated (IUU) fishing. Fishermen in Puntland region, Somalia have announced that they have stopped their work after facing ‘’dangerous threats’’ from illegal foreign fishing vessels, who are illegally plundering the semi-autonomous region’s resources. Personnel of the Marine Police Unit have impounded two fishing vessels on suspicion that they have been used for illegal fishing at Nungua and Chorkor in Accra. Op-Ed by Daniel Pauly of The University of British Columbia. As summer sea ice levels continue to drop year by year, interest in developing undersea natural resources and opening new shipping routes through the Arctic region has been growing. While in Antarctica, at the other side of the world, some forward-looking nations have already started expanding their presence, hoping to get access to natural resources on the frozen continent. Planet Labs has announced that it has confirmed launches for more than 100 satellites over the next 12 months. The satellites will launch on rockets from the USA and Russia. A new model of animal migration patterns suggests that an entire migratory route can be changed if just a few so-called "informed individuals" are removed from the larger group. A robust and healthy ocean is the lifeblood for our planet, sustaining life through interconnected ecosystems worldwide. Unfortunately, as a result of global industrial overfishing pressure, many of these ecosystems have shown signs of rapid deterioration. The anti-whaling group Sea Shepherd is vowing to keep the pressure on Japan's whaling fleet, as the Antarctic summer draws to a close. Earlier this week, a federal judge in California issued a ruling that is terrific news for sharks. Judge William Orrick of the U.S. District Court for the Northern District of California dismissed a lawsuit filed by shark fin dealers challenging a 2011 state law that prohibited the trade of shark fins in California. Among other allegations, the shark fin traders had claimed that the state law was preempted by the Magnuson-Stevens Act (MSA), the federal law that manages American fisheries. Fortunately for sharks, the judge agreed with the defendants that federal law and state law don’t conflict and this decision means that California’s ban on the shark fin trade can stay in place. Judge Orrick wrote, “Nothing in the MSA requires a state to allow the possession or trading of shark fin—even shark fin lawfully landed—so prohibiting the possession or sale of shark fin in California is not an obstacle to Congress’ intent in enacting the MSA.” This could pave the way for further shark protections in California. Judge Orrick’s decision could also have important implications for other states and territories. While the decision does not set a legal precedent for other jurisdictions, it sets the political tone. Hawaii, Guam, and the Northern Mariana Islands have also passed laws protecting sharks that are now faced with meddling from federal U.S. bureaucracy. The National Oceanic and Atmospheric Administration (NOAA) is currently trying to undo protections that states and territories have put in place for sharks under the claim that federal law preempts state law. This is the same allegation made by the shark fin traders in the California case, and the judge rightfully dismissed it. NOAA should respect the state and territorial laws and cease trying to reverse these broadly-supported state-level protections. They’ve already backpedalled from their original position and exempted California, Maryland, and Washington from the federal preemption. They should do the same for all 11 states and territories that have taken additional steps to protect sharks within their own jurisdiction. There are a myriad of instances where states have chosen to go further than federal law (minimum wage, health care, gun control laws, to name a few), and in this court decision the judge rightfully points out that there is no conflict between the state and federal law because they share the goal of conservation of the species. The judge’s decision that federal law doesn’t preempt state law is excellent news and will hopefully prompt NOAA to back off further, so the existing shark protections can stay in place. 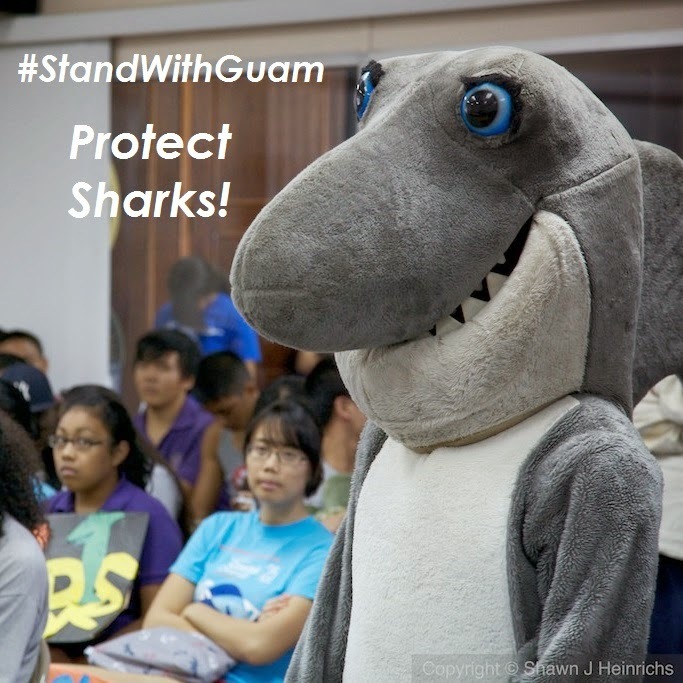 If you'd like to show your support, please call on @NOAA to protect sharks and tag your Twitter and Facebook posts with #StandWithGuam. In a world saturated with ocean videos, few stand out. On the big screen it's Sharkwater, The Cover, and Blackfish. On the smartphone screen, there's just about everything One World One Ocean makes. Underwater Fireworks, in particular, stands out. A recent report filed by park guards at Isla del Coco National Park, a UNESCO World Heritage Site located 365 miles off Costa Rica’s Pacific coast, accuses 33 fishing vessels with Costa Rican licenses of frequently poaching within the 12 nautical miles of Pacific waters off the island, an area protected by law. Hurtling toward the moon in December, 1972, the crew of Apollo 17 took one of the most iconic snapshots of all time, of a beautifully illuminated, overwhelmingly blue, planet Earth. The colours reflected not earth but water, not land but oceans. On the spot, crew members nicknamed this image The Blue Marble. Investigators with the Florida Fish and Wildlife Conservation Commission (FWC) have filed charges against four men linked to the illegal feeding of sharks and fish within state waters. A Puntarenas court will reconvene Friday for a shark finning trial that could re-establish a gruesome loophole in the law that bans finning in Costa Rican waters. The Royal Australian Navy, working closely the Australian Fisheries Management Authority (AFMA) under the coordination of Border Protection Command (BPC), has apprehended four foreign fishing vessels with a total of 58 crew approximately 180 nautical miles North West of Darwin. The Parties to the Nauru Agreement (PNA) closed its annual officials meeting today after discussing ways to control tuna supply and therefore increase economic returns to Pacific countries. Wilson Lau calls on Hong Kong to join an international effort to curb illegal fishing on the high seas, to help protect fast-declining fish stocks. The Micronesian country of Palau, which encompasses 250 islands in an area the size of France, just became a marine sanctuary. At a recent U.N. oceans conference, President Tommy Remengesau, Jr. declared commercial fishing illegal in an attempt to protect the vibrant sea life that makes Palau a magnet for Asian vacationers. “I always say the economy is our environment and the environment is our economy,” he said. Thailand is the world’s third-largest seafood exporter, and it is America’s second-largest seafood supplier. In the U.S., there is a good chance that one’s shrimp, tuna, sardines, or squid came from Thailand. There is also a good chance that the Thai fishing boat that caught those items was involved in sea slavery. Fisheries ministers from the European Union's member states will adopt trade measures against Belize, Cambodia and Guinea next week. Fish caught in these countries will be banned from import into the European Union. Maria Damanaki, the European Commissioner for Maritime Affairs and Fisheries, praised the EU's progress on sustainable fishing and said fishing overcapacity must be addressed globally, in her March 13 speech at the Conference on Fishing Capacity in Thessaloniki, Greece. The Council today adopted an EU strategy on the Gulf of Guinea to support the efforts of the region and its coastal states to address the many challenges of maritime insecurity and organised crime. The Fisheries Committee of the European Parliament (EP) Tuesday approved three new fisheries protocol with Seychelles, Comoros and Madagascar, which will benefit the Community tuna fleet, mainly from Spain, Portugal and France. THE Kenya Ports Authority has dismissed claims that two ships wanted by Interpol for alleged illegal fishing and human trafficking called at the Mombasa port. This follows reports that Mv Samdera Pacific and Berkat Menjala arrived at the Kilindini harbour on February 4, and docked at the Mbaraki wharf for provisions. The warrant of the arrest against the two ships was issued in January 21st this year, according to the Kenyan Daily Nation Newspaper. The two ships wanted by Interpol for alleged illegal fishing and human trafficking called at the Mombasa port in February, investigations by the Nation have revealed. The vessels are believed to have been behind illegal fishing in Kenya and Somali waters using fake documentation. The Minister of Fisheries and Marine Resources, Bernard Esau has urged all fishing companies that have not yet installed the Vessel Monitoring System (VMS) of the ministry, that is supposed to monitor activities of fishing vessels at sea, to do so urgently. On the beach here in Joal, a large fishing harbor south of Senegal’s capital of Dakar, a group of women watch as fishermen unload their catch from their motor boats. It wasn’t such a good day. But empty nets are not the only disappointment here. A Russian factory that will transform fresh fish into meal is scheduled to open soon along the shore, disrupting the locals’ salting and drying activities. AFRICA’s western seaboard, from Mauritania to South Africa, contains among the most productive and fastest-growing offshore oil fields in the world. The region’s oil-and gas-producing countries drill more than 4.5-million barrels a day, and have about 48.77-billion barrels in reserve. The Government of Japan has made a contribution of US$1.0 million to the IMO West and Central Africa Maritime Security Trust Fund, established by IMO Secretary-General Koji Sekimizu to implement maritime security projects in the Gulf of Guinea, including the prevention and suppression of piracy and armed robbery against ships and other illicit maritime activity. The European Union is funding a €1.2 million grant contract, signed between IMO and the African, Caribbean and Pacific Group of States (ACP) to support training and capacity-building activities aimed at enhancing flag State implementation and port State control in Western and Central Africa, with a view to upgrading the region’s maritime administrations and preparing its States for the mandatory IMO audit scheme. The Nigerian navy said on Tuesday that it had arrested 22 Chinese nationals for fishing in its territorial waters without permits and travel passports. Four foreign vessels and their crew were held in the operation, Commodore Godwin Ochai told reporters in Onne, outside the southern oil city of Port Harcourt. Ships lost at sea often elude current technology. As satellites and search teams scour the Indian Ocean for signs of the missing Malaysian airliner and its 239 passengers and crew, somewhere in the vast expanses of the North Atlantic an empty Russian cruise ship has been lost for more than a year. The European Union, the United States, Japan, the Philippines, Colombia and Indonesia agreed, on 14 March, to work to better control fleet overcapacity as a means of promoting sustainable management of fish stocks. In a joint declaration adopted in Thessaloniki, Greece, the five signatories express their intention to cooperate to "identify the measures needed to regulate fishing volumes in order to guarantee the sustainability of fish resources". The declaration was released upon conclusion of a two-day international conference sponsored by the Greek EU Council Presidency with the aim of extending globally the efforts made in recent years by the Union to reduce its fishing overcapacity. Encouraging travellers to help in the global fight against trafficking in illicit goods and services, three United Nations agencies have joined forces launching today a new campaign aiming to raise awareness among travellers and the tourism industry about making the right ethical choices and reducing demand for illegal products. Great job! Here's some media. We'll post more photos and stories tomorrow. When Guam banned the sale, trade, and possession of sharks and rays, the world took notice, including Leonardo DiCaprio. As we've written many times before, NOAA is trying to overturn the law and is proposing a shark cull to "reduce shark biomass." We want the people of Guam to remember that we stand with them. 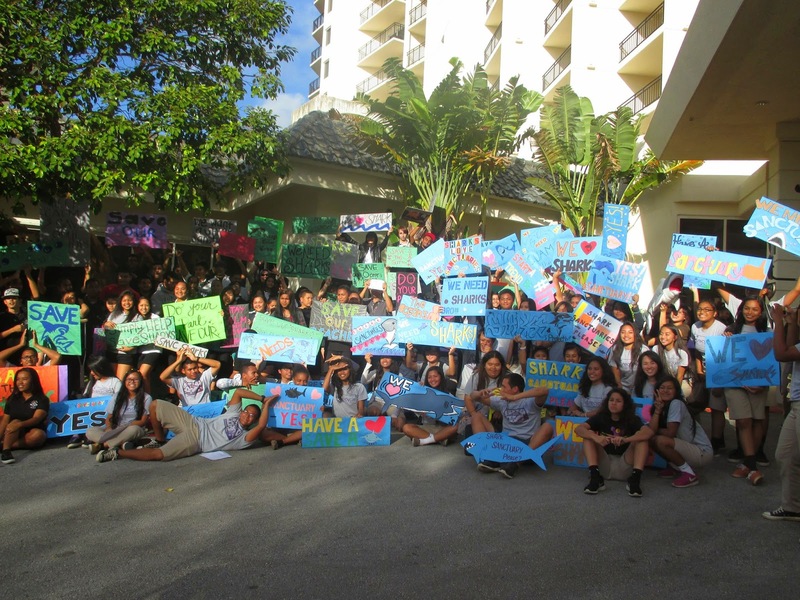 We call on NOAA to respect Guam's close relationship to the ocean and protect sharks. Stop the cull in the Marianas before it starts. Sharks don't just swim. Some walk. See what a walking shark looks like and watch the story of its surprise 2012 discovery in this new video short, the first in a new series by The Pew Charitable Trusts. Scientist Mark Erdmann was participating in a nighttime scuba dive off the coast of Halmahera, Indonesia when he stumbled on a new species of walking shark. The shark is one of nine walking species, six of which are found in Indonesian waters. It is about two to three feet long and uses its pectoral and pelvic fins to walk on ocean floor, looking for food. Erdmann, a senior advisor at Conservation International and a Pew Fellow in Marine Conservation said he experienced a "rush of adrenaline" in 2012 when he first saw the shark. But beyond excitement, his discovery uncovers new knowledge about our oceans, and moves the field of marine science forward. Retweet and favorite this video to share this exciting discovery. In 2011, the people of Guam and the Northern Mariana Islands passed laws banning the sale, trade, and possession of shark fins. Since May 2013, the National Oceanic and Atmospheric Administration (NOAA) has been trying to overturn these laws and nine others like them to force the territories and states to allow shark fishing. 180,000 individuals including governors, senators, and congressmen wrote letters to oppose the federal preemption. NOAA took notice. In response, rather than simply preempting the laws, NOAA has undertaken a series of consultations with states and territories. California, Washington, and Maryland were recently exempted from preemption because their laws do not interfere with the production of shark fins. Fishermen are still allowed to catch sharks in those states. Some are even speculating that the political influence of the three states may have played a role in their early exemption. Now that the political firestorm is dying down, who will stand with the territories? The first sustainable shark fishery has crashed apparently because it wasn't very sustainable. The territories have the strongest laws in the country and ban the fishing of sharks, as well as the sale, trade, and possession. NOAA wants to overturn those laws to force them to allow shark fishing. And how have they done this? By proposing a shark cull. The report is available online. NOAA wants to base policy on stories told by fishermen, not science. The reason NOAA gives for proposing the shark cull is because "Mariana fishermen continue to experience high levels of catch depredation from sharks." There is no science behind this statement. No catch limits. No ecological risk assessments. They are basing their reasoning on fish stories told them by fishermen. NOAA continues on to suggest that "shark catches could reduce shark biomass." That's clearly a shark cull disguised as a "sustainable shark fishery." It is incredibly disrespectful that NOAA would suggest a shark cull when the people of the Marianas have so loudly pronounced to the world that they want to protect sharks. 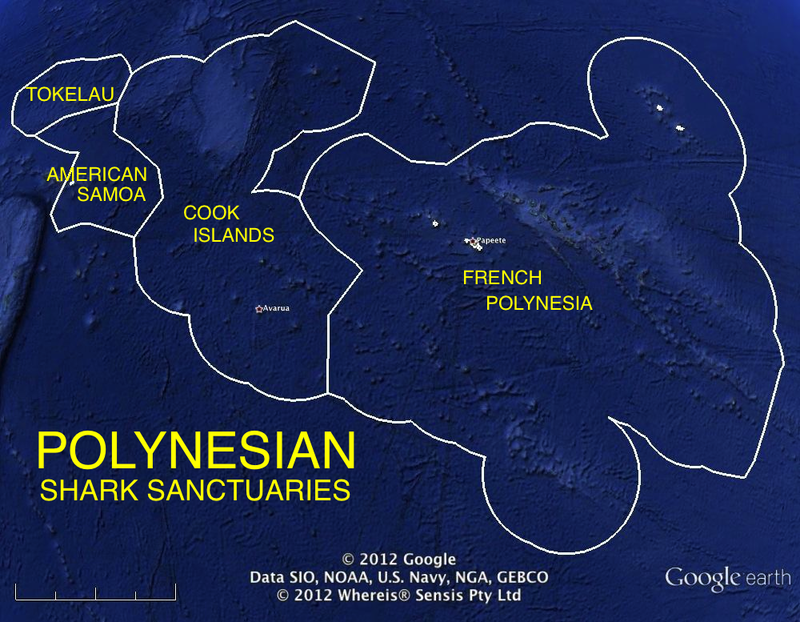 Both governors joined other executives in the region to call for a Micronesia Regional Shark Sanctuary. 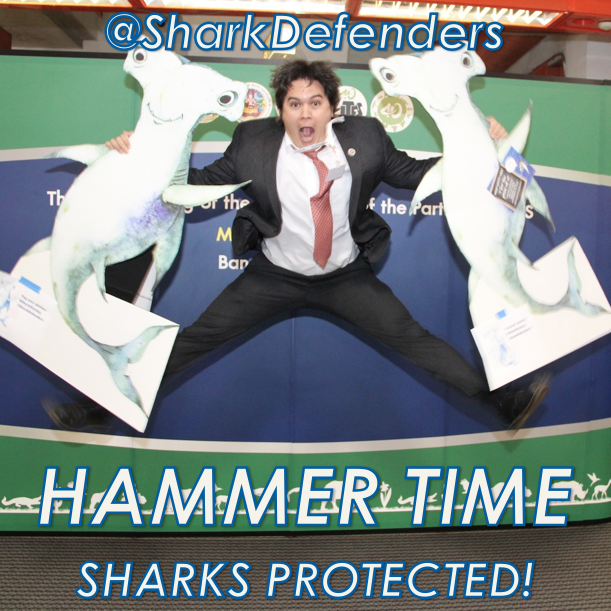 And both legislatures joined other lawmakers from across the Pacific to call for a Pacific-wide shark sanctuary. If anything, NOAA should be coming to the islands with plans for more conservation, not less. Endangered scalloped hammerheads have low vulnerability? And what of science? The IUCN Shark Specialist Group recently released a ground breaking study showing that more than half of all sharks and rays are predicted to be threatened or near threatened with extinction, and that large bodied, shallow water sharks, including all of the ones listed above, are the most vulnerable because of fishing. It is confusing as to why is NOAA saying that some of these species have low to medium vulnerability. What are they comparing them to when they determine productivity, whales? Every single one of those species produces few young infrequently. NOAA should stand with the American citizens living in the territories and respect their close relationship to the ocean and protect sharks. Stop the cull in the Marianas before it starts. A strong opponent of “pirate” fishing, U.S. Senator Mark Begich applauded the approval today of four treaties that will help Alaska fishermen by cracking down on illegal fishing worldwide. Today’s vote in the Senate Foreign Relations Committee to approve the treaties clears the way for ratification by a vote of the full Senate. With the world’s oceans losing up to $23.5 billion worth of fish to illegal fishing every year, the U.S. Senate on March 11 took a critical step to cut off market access for unlawfully caught fish and to drastically lower the potential profits. A boat crew from Coast Guard Station South Padre Island intercepted a Mexican lancha carrying approximately 110 pounds of fish illegally caught in U.S. waters, Friday. A locally-spawned campaign to turn Trinidad and Tobago waters into a shark sanctuary has picked up international steam. The Costa Rica News (TCRN) – The authorities in Costa Rica announced the arrest of three Nicaraguans for fishing in the protected area surrounding Cocos Island, which has been declared a Natural Heritage Site. A search is underway in the Philippines for 10 missing crewmembers from a fishing vessel that sank Wednesday night after it was reportedly rammed by an unidentified cargo ship near the mouth of Manila Bay. Japan plans to slash by half the amount of juvenile bluefin tuna taken from the Northern Pacific starting in 2015, compared to the 2002-2004 average, a Fisheries Agency source said Saturday. On Feb. 11 and 12, more than 60 people from nine countries met to develop a plan to implement the new Appendix II listings for sharks under CITES, the Convention on the International Trade in Endangered Species of Wild Fauna and Flora, which will have ramifications for the future of the shark fin trade in the Pacific. The Australian government is to purchase a fleet of giant high-tech unmanned flying drones as part of a new defence plan to protect key maritime and energy assets in the Indian Ocean. Efforts to conserve migratory sharks have been strengthened at an international workshop on shark conservation supported by the UN last month. Government representatives from nine countries have gathered in Dubai to lend more support to shark conservation in the region. The Danish fishermen’s association have called on the European Union to ban all imports of fish products from Norway, as the EU-Norway bilateral talks extend into another week. The Environmental Justice Foundation (EJF) has welcomed a decisive European Parliament vote recommending that Thailand be required to address human trafficking and forced labour in its fishing industry as part of ongoing trade negotiations between the EU and Thailand. The Municipal Chief Executive for Nzema East, Mr James Atta Kakra Baidoe, says government is determined to protect fisheries resources and enforce the fisheries laws to sustain livelihoods of coastal communities. In a statement released today, the Ministry of Fisheries and Marine Resources of Puntland said it has terminated all fishing licenses previously granted to the foreign vessels while the ministry also warned of any claims of holding legal license. Today, March 10, a team of U.S. Naval Forces Europe-Africa Sailors had the great pleasure of joining with personnel from 13 partner nations to kick off the at-sea portion of Exercise Saharan Express 2014. The global ocean, from the coast to the high seas, is facing multiple threats. We rely on the ocean for food, for transport, for the very air we breathe, but the current systems in place for governing and managing its resources are not fit for purpose. As a result, fish stocks are being depleted, rich biodiversity is at risk and illegal fishing vessels threaten the food security of whole nations. It is our economies that suffer -- depletion of fish stocks alone costs the global economy an estimated $50 billion per year. A joint statement committing to adopt measures to tackle global fleet overcapacity was signed Friday by the European Union and major fishing nations including the United States, Colombia, Japan, Philippines, and Indonesia. The co-chairs of a UN group tasked with drafting a blueprint for sustainable development goals (SDGs) released a list of 19 focus areas on 21 February, following a year of discussions. The marine resources, oceans, and seas section, for example, suggests eliminating all harmful fisheries subsidies, as well as combatting unreported and unregulated (IUU) fishing. Prices for skipjack tuna are continuing to drop, with one source citing an overcapacity of purse seiners as the cause. Imagine a world with empty oceans. Gone are the glittering shoals of sardines, delicious lobsters, and agile tuna. Hook after hook comes up empty, leaving millions of fishermen with no way to earn a living and millions more people without food. Our oceans aren’t empty quite yet, but overfishing is already decimating many ecosystems, leaving fishermen with empty nets and people with empty plates. Global warming has brought warmer waters and reduced ice cover in the Arctic, facilitating the northwards extension of fish stocks such as capelin and cod. This has brought speculations that commercial fisheries might develop in the Central Arctic Ocean. A year ago today, Leah and Onon were in Bangkok with our partners from the Pew Charitable Trusts, WildAid, Shark Savers, and Humane Society International celebrating the listing of manta rays, oceanic whitetip, porbeagle, and hammerhead sharks on CITES Appendix II. 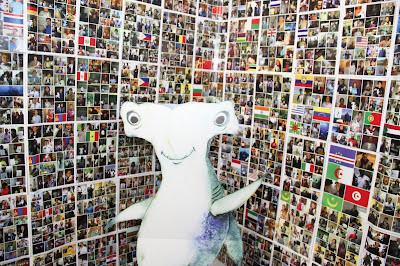 If you are a regular reader of this blog, then you know about the global Shark Stanley campaign that led up to CITES, and how 10,000 of you from 135 countries allowed us to take your voice to the CITES Conference to call on countries to protect sharks. The listings take effect six months from today on September 14, 2014. Training is taking place around the world to help governments implement the new listings, most recently in Fiji will all of Oceania. Other workshops are planned for Latin American and Southeast Asia. We will keep you updated as the date draws nearer and will let you know how you can get involved. The shark bloggers are all in agreement that we can't wait to see David Diley's film Of Shark and Man. Come on, David! Hurry up and give me a reason to visit the UK! It has been one year since the shark and manta ray proposals passed in committee at CITES in Bangkok, Thailand. They would pass in plenary three days later, making the protections final. 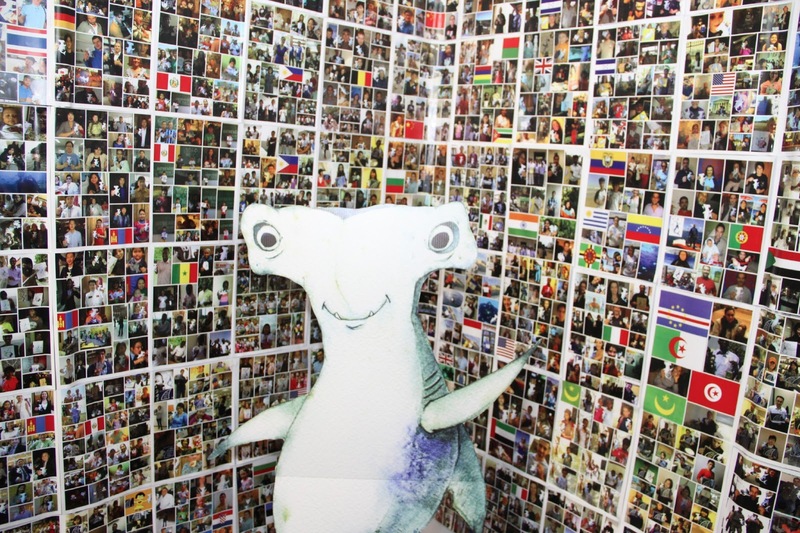 10,000 of you from 135 countries helped Shark Stanley in this effort, photographing yourself to represent the people around the world who want to see sharks protected. Thank you again to all of you who participated, especially Shawn and Mary from WildAid Shark Savers and Guy and Andrea from Manta Trust. Keep an eye on Shark Stanley.com because he will be launching a new campaign to protect sharks in the coming months and he will need your help again! On Feb. 11 and 12, more than 60 people from nine countries met to develop a plan to implement the new Appendix II listings for sharks under CITES, the Convention on the International Trade in Endangered Species of Wild Fauna and Flora, which will have ramifications for the future of the shark fin trade in the Pacific. 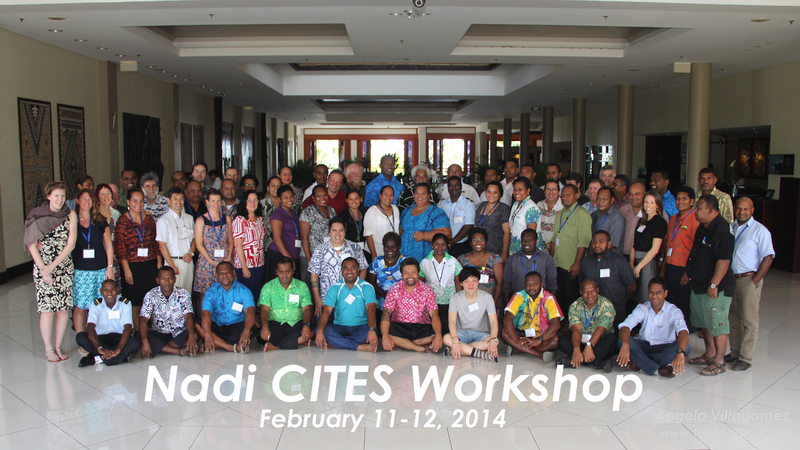 The workshop was hosted by the Fiji Department of Environment, The Pew Charitable Trusts, and the Coral Reef Alliance. David Shiffman has a new article in Scientific American where he quotes Mike Neumann and Chris Neff on the threats the shark diving industry would face if sharks were to respond to the harassing touches of certain operators who have taken to "riding, prodding, grabbing, excessively handling and otherwise harassing sharks." Neff expressed concerns that media coverage of an accident resulting from risky diver behavior would likely be inflammatory. Such coverage could be damaging to the scuba industry by scaring potential customers away, and harmful to public perception of sharks by perpetuating false stereotypes of them as seeking out humans to eat. I do not agree. Sharks are already biting back and the video has already played on Shark Week. Stupid people being stupid results in ridicule, not revenge. A few years ago Erich Ritter was filming a show for Discovery Channel Shark Week, expounding on how sharks don't want to attack humans. While standing in waist deep water in the Bahamas, he explained to the host, "All you have to do is remain calm and......arghh!" As if scripted by a Hollywood producer, a large bull shark chomped down on his calf. There was no call to cull the bull sharks in The Bahamas. Rather, they went ahead and created a shark sanctuary protecting all sharks in their exclusive economic zone. And then there is Dave Marcel down in Florida who made it a habit on his dives to give nurse sharks a big kiss to impress the tourists. That is, until a shark bit him on the face. Read the comments below both Youtube videos and you will see that the general response is, "what idiots!". So no, when the shark molesters get bitten, and they will, it will not negatively impact shark conservation. Those morons, however, will be ridiculed for the rest of their lives. I only hope they bring a camera so the rest of us can watch them remove themselves from the gene pool.